Buy tickets & earn rewards for Weekend One and Weekend Two through Everfest! Swimming? In October? Well, this is Texas, after all, and it will still be hot outside. This natural outdoor swimming pool is directly across the street from Zilker Park with an average temperature of 68-70 degrees year-round. After sweating through countless sets, you’ll want to take a dip and cool off before you head back to rock out again. Great for both adults and children alike, Peter Pan Mini-Golf offers two 18-hole courses filled with wacky characters and family fun. Once it’s dark outside, you can BYOB and have a nice, cold beer out on the course. Drinking beer allegedly makes you better at golf, so there you go – give it a whirl. But it goes without saying, drink responsibly! Chances are you’ll be doing a lot of walking to catch all of your favorite acts between ACL’s eight stages, but you’ll score far more scenic views along this beautiful, 10-mile stretch of urban trails. 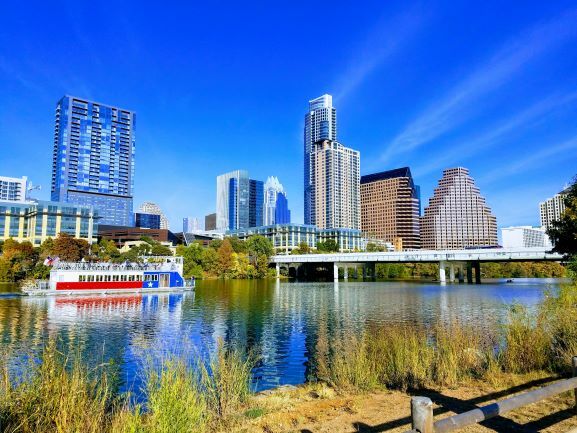 From the downtown skyline to the Colorado River, to arching bridges and the statue of legend Stevie Ray Vaughan, there’s a lot to see while out on a leisurely stroll. Located in south-central Austin (just a few miles from Zilker Park), the Barton Creek Greenbelt features rock climbing, swimming holes and over 12 miles of hiking and mountain biking trails. There are multiple entrances, but our personal favorite is the Spyglass entrance off Spyglass Dr. because it’s across the street from Tacodeli, a prime spot to feast on delicious tacos before you journey through this urban oasis. Hike up about a hundred steps and you’ll reach the peak of Mount Bonnell, one of the highest points in Austin at 775 feet above sea level. Once you’ve reached the top, you can take in breathtaking views of the Colorado River, the Hill Country, the famous 360 bridge and luxurious waterfront homes you’ll likely never be able to afford. Look southeast and you’ll get a pretty view of downtown Austin’s ever-changing skyline. Although we’ve reached the tail end of bat season, you’re just in time to witness a naturally occurring phenomenon while you’re in town. Over 1.5 million bats hide out underneath the Congress Bridge during the day, only to emerge minutes before sundown. Watching the world’s largest urban bat colony take flight is quite the spectacle, even if you aren’t too fond of the menacing, furry aerialist. Barbecue is a way of life in Texas, and Austin is consistently ranked as one of the top barbecue cities in the country. While nationally-recognized options are plentiful, leave it to us to guide you in your quest to find the best smoked meats in the Texas Capital. It’s all about the melt-in-your-mouth brisket here, but you also can’t go wrong with beef ribs or a plate of smoked sausage. Hit up any one of the following barbecue joints and you’ll return home with a satisfied stomach. You could stuff your gullet with barbecue all weekend long, but don’t forget that Austin is also well-known for its A-grade tacos. Besides, tacos are amazing no matter the time of day. From crispy breakfast tacos to late-night brisket feasts, make plenty of room for all the homemade, tortilla-filled excellence you’ll discover around our fine city. 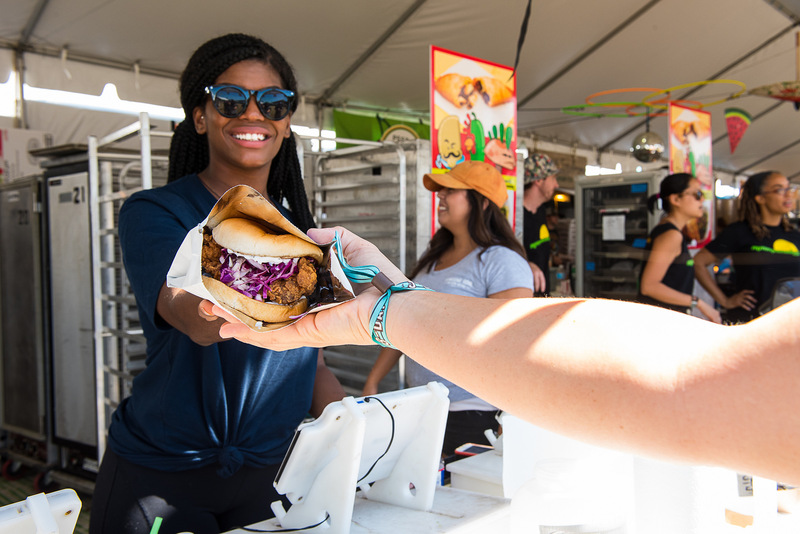 Everfest suggests: Veracruz, Tyson’s, Tacos al Pastor, Joe’s Bakery and Maria’s. If you prefer your meal on wheels, you can’t go wrong with Austin’s fantastic food truck scene. Second to Portland, Oregon, the Texas capital boasts more than four food trucks per 100,000 residents, including a wide variety from Korean barbecue to tacos and Thai-style ice cream. There’s a food trailer park on Barton Springs Rd. within walking distance to Zilker Park if you want to score some reasonably priced eats. Banger’s Sausage House & Beer Garden is the quintessential brunch spot on Austin’s historic Rainey Street. Sunday brunch is always packed with legions of locals and visitors who are eager to nosh on classic American staples, 30 house-made sausages, over 100 craft beers on tap (the third largest draft system in Texas!) and the gargantuan manmosa. Despite its reputation for smoked brisket and meaty tacos, Austin is a haven for both vegetarians and vegans alike. Don’t worry about having to sacrifice your dietary morals, because Austin offers a wealth of vegetarian and vegan-friendly restaurants every which way you look. Everfest suggests: Bouldin Creek Cafe, Arlos, etc. Historic Sixth Street is jam-packed with bars and restaurants, but most of the rowdy action takes place on Dirty Sixth between Congress Avenue and Interstate 35. In fact, the city closes off Dirty Sixth to traffic on weekend nights so patrons can easily bar hop without having to play a deadly game of Frogger. Dirty Sixth guarantees cheap drinks, bachelorette parties, poor decisions and front row seats to primetime people-watching. We don’t recommend Dirty Sixth if you want memories you’ll cherish forever; you probably won’t remember anything at all, but luckily your drunken legacy will live on in someone’s embarrassing Snapchat stories. In other words, Dirty Sixth is hella fun. Everfest suggests: Shakespeare’s, The Blind Pig, Jackalope, etc. Maybe Dirty Sixth isn’t your vibe. If not, walk across Congress Avenue to the west side and you’ll officially be on West Sixth, which has a solid selection of bars and nightclubs as well. It’s a whole new world compared to Dirty Sixth, meaning less puke, more good times and a fighting chance to keep your basic motor skills intact. Everfest suggests: Green Light Social (alcoholic Capri Suns! ), Kung Fu Saloon, Bufords, etc. If you want to avoid Sixth Street altogether, then you’ll likely end up on Rainey Street. Here exists a manageable level of debauchery that almost never gets out of hand unless a tourist can’t fathom waiting two hours for a table at Banger’s for Sunday brunch. It was once a little neighborhood full of historic, bungalow-style homes until it was reincarnated as a hotspot for craft cocktails and Sunday Funday shenanigans. Take a quick walk down the street and you’ll stumble upon a food trailer park with a variety of good eats to help soak up the alcohol. Everfest suggests: Unbarlievable, Icenhausers, Container Bar, Bungalow, etc. The East Side is the quirkier, more laid-back side of town and is loaded with unique bars. 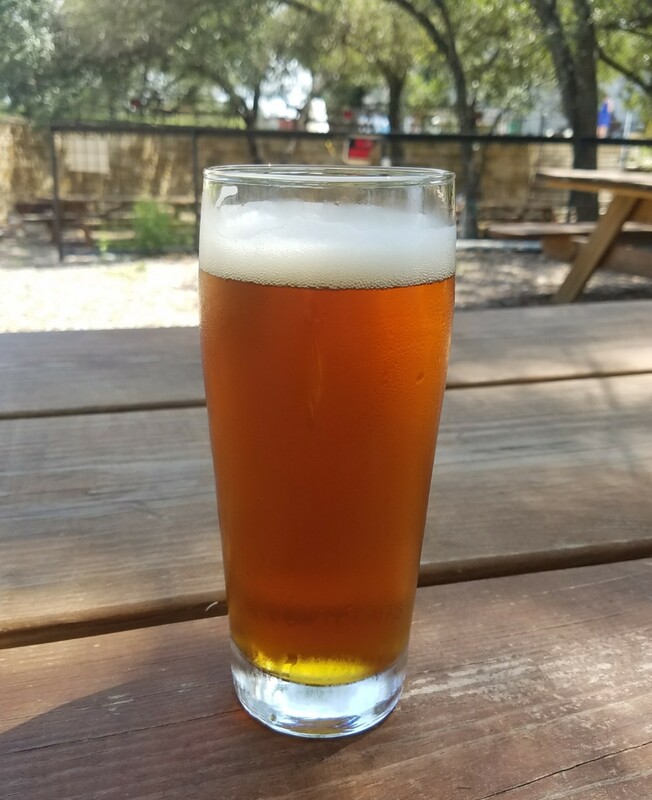 If you’re the bar-hopping type, the East Side is highly walkable and easy to get around, which is not true for a lot of neighborhoods in Austin. You also won’t have to muscle through crowds of people just to get a drink. 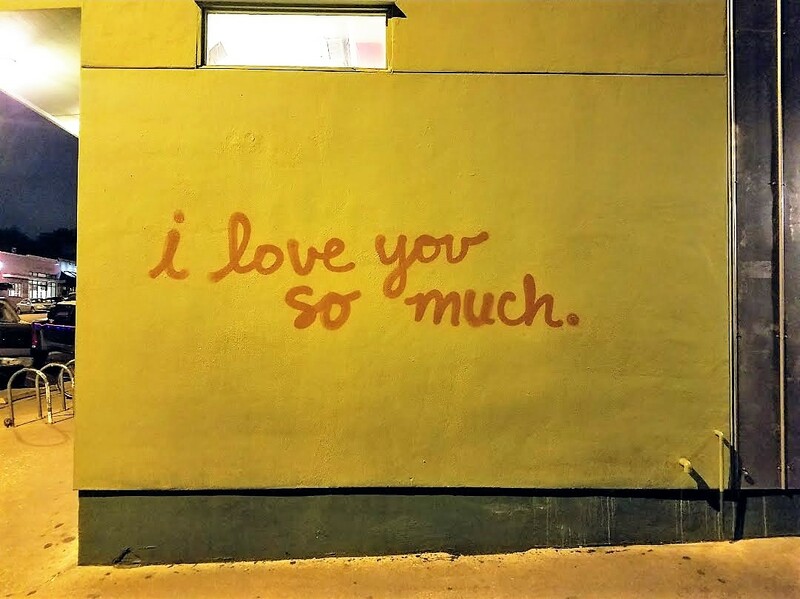 All in all, the East Side is a great place to hang out for those who prefer an authentic Austin experience without the rambunctious nature of Sixth Street or Rainey Street. Everfest suggests: Shangri La, Stay Gold, Kitty Cohens, Ah Sing Den, etc. Sandwiched between 6th Street and 12th Street is the Red River District, which features a healthy mix of nightclubs, live music venues and intimate settings to get your drink on. Here, you can catch a cool set from a local band and groove without interruption in the heart of Austin. Should you crave disorderly conduct, Dirty Sixth is a stone’s throw away. Everfest suggests: Barbarellas, Plush, Scratch House, Swan Dive, etc. Austin boasts one of the most vibrant LGBT communities in the country with a wide selection of bars and nightclubs on 4th Street, Red River Street and elsewhere. You're guaranteed to have a colorful, fun-filled experience at virtually any one of them, but we definitely recommend the ones below. Everfest suggests: Cheer Up Charlie’s, Rain, Sellers Underground, etc. If you have some extra cash floating around, there are loads of shopping opportunities on South Congress Avenue. From trendy, upscale boutiques to funky gift shops, you’ll find a wealth of local treasures including designer clothing, furniture, jewelry, handmade arts and crafts, souvenirs, costumes, western apparel and much more. Considered Austin’s second downtown, The Domain has an incredible nightlife scene of its own, but we’ve already filled your drinking calendar for the weekend. Instead, spend a few hours exploring the outdoor shopping mall’s array of department stores, high-end fashion boutiques and over 100 other retail shops. 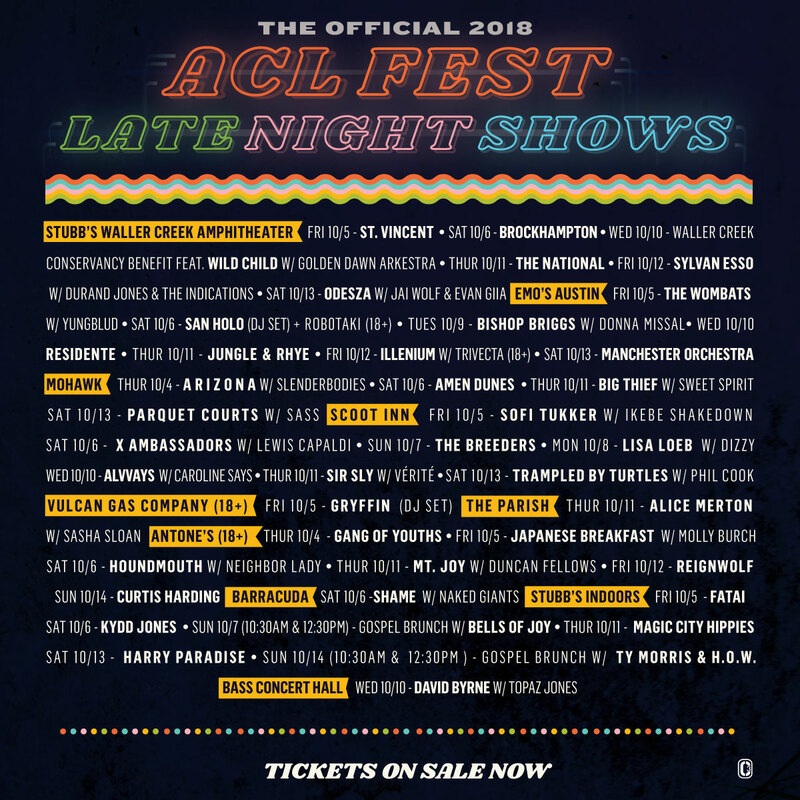 Didn’t get enough of your favorite artists at ACL? Check out a multitude of late-night shows at a variety of local venues including Stubb’s Waller Creek Amphiteather, Emo’s and many others during both Weekend One and Two. For a more immersive experience, hit up Vibe Vessel for their unofficial late-night shows on October 6th and 13th. The Vibe Vessel brings top-notch underground house and techno talent to their parties and will be going hard until 5 am both weekends. Suggestions and contributions made by the Everfest team.